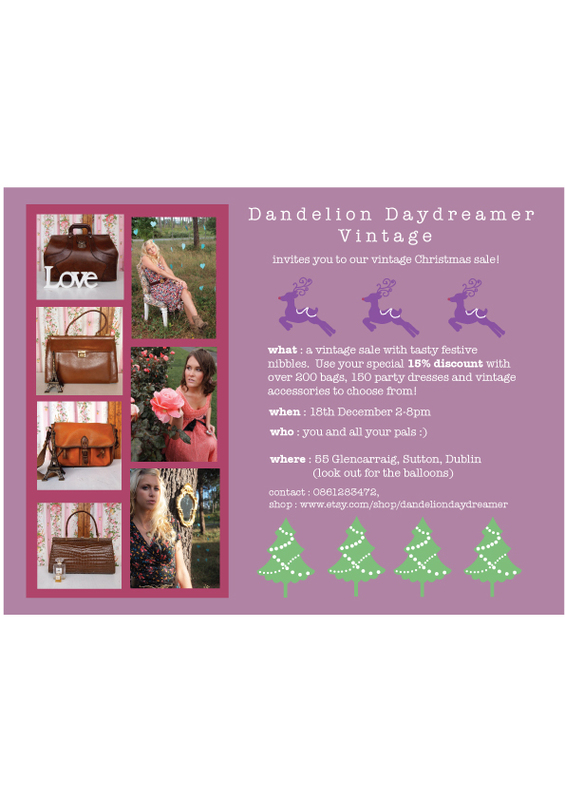 Dandelion Daydreamer: DANDELION DAYDREAMER VINTAGE COMES TO DUBLIN! 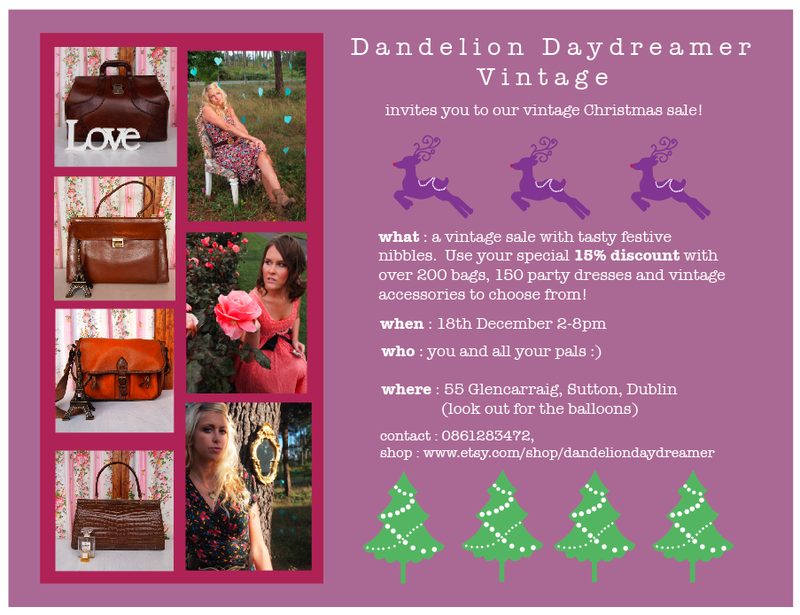 DANDELION DAYDREAMER VINTAGE COMES TO DUBLIN! Attention all my lovely Irish readers! Dandelion Daydreamer Vintage is coming to Dublin for some Winter fun and to celebrate we are having a Christmas vintage sale party! We are taking all our French vintage pieces with us, so you will have over 300 vintage bags, 200 vintage dresses and chest after chest of vintage accessories to choose from. We will be showcasing our stunning new stock from Paris and New York so you will have first dibs on your party season dresses and bags before they all go in our online boutique. All guests will receive a 15% discount on the day and there will be no shortage of mirrors for you to twirl about in before you buy. Free gift-wrapping is available for all gifts and gift vouchers for any amount will be available for purchase. So please pop in and join us for some festive fun on Saturday the 18th of December from 2-8pm. If not for the clothes then at least for some yummy homemade mince pies and mulled wine :) You can find more information on my event page here. Wish I was there! We are going to Dublin in June:-) Have fun!!! GAH! why cant I live in Dublin! come to Cork!! !